For the first time in his Liverpool career, Milner isn’t a guaranteed starter anymore. Usually, a 32-year-old with close to 500 league appearances under his belt should not be seriously competing for a starting spot in the Liverpool set up under Jurgen Klopp, but then again, James Milner is not your average footballer. “I think I missed one game last year through injury and that was the last (league) game of the season. The body is definitely holding up,” the 32-year-old told Premier League Productions. Milner arrived at Anfield in 2015 and he’s been a regular for the Merseyside outfit every since, but with Fabinho and Naby Keita signing for the English giants in the summer, he’s not a confirmed starter this time round. Even skipper Jordan Henderson can’t take his starting spot for granted, such is the competition for places in Klopp’s squad at the moment. 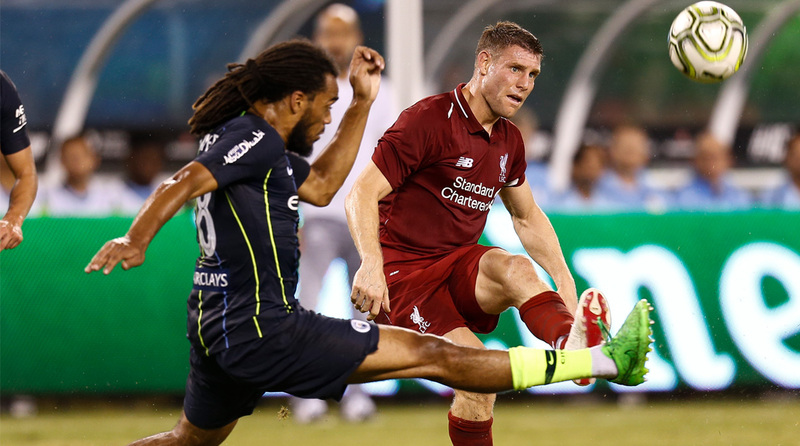 Milner started the Reds’ season-opener against West Ham United last week, a 4-0 home win, but with Fabinho working his way back to full fitness, things could change for the the second game against Crystal Palace on Sunday.